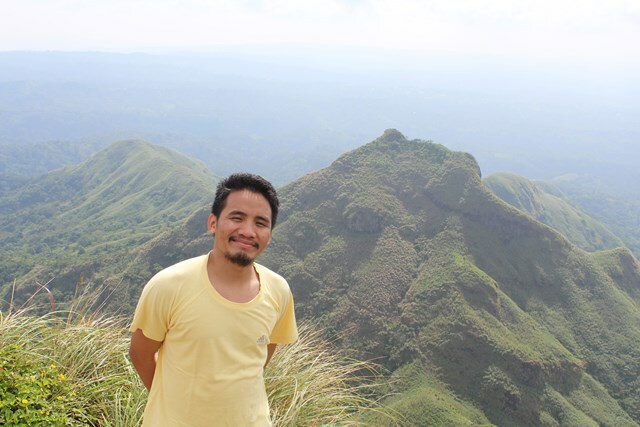 After Alex had his first profession on May 31, 2011, he was immediately transferred to Father Di Francia Center of Studies (FDFCS) for his theological studies. New beginning, new life-that was the atmosphere he felt when the FDFCS family welcomed him uon his arrival. The family spirit of the FDFCS strengthened his conviction to follow the footsteps of Christ despite the many discouragements in his life. During his first year of stay in FDFCS, Alex excelled well in his academic formation and community life. The family spirit of the FDFCS helped him to be at home with himself and with his brothers. He really enjoyed his stay in FDFCS. Whenever he had a problem with his life and vocation, he always approached his formators, especially his Rector without any hesitation. Staying in FDFCS, he felt the support of the community for him whenever he felt the uneasiness in the demands of theological studies. With this, the providential care of God is very evident in Alex’s life. Although his life as a religious was a variety of happiness and joy, it was not an exception for him to experienc discouragements and defeats. It was on his first year in Theology that he experienced the difficulty of adjusting himself of the ambiance in FDFCS. It was a great challenge for him to apply in FDFCS the wisdom that he gained from the novitiate. It was not so easy for him to master the insights that he learned from his Novice Master. When he started to become a religious, some were compromised; others were left behind because of the many distractions and unnecessary ideologies and praxis that he entertained. In spite of these difficulties that he undergone, he did not lose his hope to move on and go on in his journey. Alex really excelled well in his academic formation, but too much emphasis on excellence and craving for recognition led him to destruction and distraction. He became engrossed with a perturbed principle that “everything he achieved came from his personal efforts”. Self-centeredness became a disease in his sanity. Being too much engrossed with his self led him to anxiety and depression. These were the two major issues in Alex’s life when he entered religious life. It was a major blow for Alex’s vocation journey. In the midst of breakdowns and unsteady clique in Alex’s introspection, he met a person who became his professor, counselor, friend, and guide; he was Fr. Chito Dimaranan, SDB. At first, he was very hesitant to approach him for counseling because he was like a prodigal son who does not know what to say to his forgiving father. He took him a long time to decide whether to approach him for counseling or not. He approached his kind Rector in order to open up if it is possible for him to be one of Fr. Chito’s counselee. The kind Rector agreed with his intention. Together with the Rector’s approval, Alex visited Fr. Chito’s office courageously for counseling. That spirited act of Alex for counseling was the start of his journey towards accepting the beautiful and ugly truths of his life. Alex life was transformed by the help of counseling, but it was challenged and tested by the different circumstances that made his heart broke into loneliness. When he was a second year student in Theology, Alex will not ever imagine that he will be facing the greatest blow in his life. One day, Alex visited his house in order to greet and celebrate Emman’s birthday (his sibling). When he surprised everybody in their house, he noticed that they were all sad. He asked them, “Why are you sad?” “Alex, we need to talk to you”, his Father said. Confusion rushed into his mind when he heard his father saying these words with loneliness. “Alex, Nerrisa is pregnant”, his father said these words with anger and loneliness inside his heart. Nerissa is just 16 years old. Alex was stunned and shocked when he heard the news that will create an animosity in his relationship with God. After he heard the sad news about Nerissa, Alex complained deeply to God. “How dare you Lord! You duped me!” “Why did you allow this thing to happen in my life?” “Why have you abandoned me?” “Do you love me Lord; if you love me, why have you disregard me as your follower and as your lover?” “Why are you so rude to me?” These were the questions that Alex shouted in front of the crucifix while he was crying in deep anguish. After the complaints and angst he became indifferent in his relationship to God. But, it was settled immediately when he realized that everything was part of God’s grander plan for his life. God put him into the test whether he is faithful to him or not. Even though the test for him was distressing, humiliating, and excruciating, he still coped up in saying to God these words coming from his wounded heart; “I surrender everything to You, O Lord”. What makes Alex life pleasing in the eyes of God? His life was not all about success, achievements, honor, and glory. But, his life was started from failures. Though majority of all he experienced from his childhood to his religious life were all failures, he never gave up. Indeed, he believes that there are wisdom in failures. For him, life is not all about winning the race, but also learning from one’s mistakes. It is all because of God’s LOVE which made Alex always motivated to move on in life despite the pangs of catastrophes and disappointments in his life. This is the story of Alex’s life; broken and struggling, yet totally redeemed and flourished by the unconditional love of God.